Investing is serious business. Even the government recognizes just how important investing is by giving us special vehicles to help encourage investment. Perhaps the most well-known of these tools is the IRA, or Individual Retirement Account. Despite the widespread recognition of these accounts, many people are confused or ignorant about which investing options they have for their IRA plans. Many “specialty” investments which fall into the above categories are also IRA-allowable. For example, stocks can also include (in certain cases) options and different classes of stocks, such as “preferred” stocks. 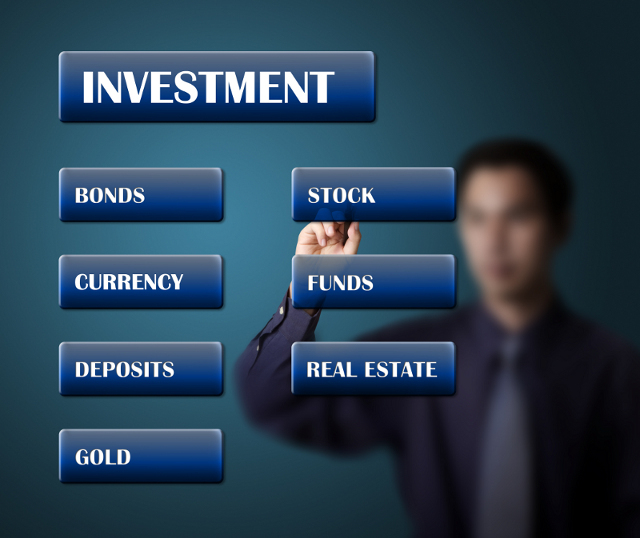 Mutual funds may also include things like Real Estate Investment Trusts. *Pre-1933 U.S. gold coins are NOT eligible for IRA storage. In addition to the gold coins listed above, you are also able to hold physical precious metals bullion in your IRA. Bear in mind that your bullion (as well as any other physical asset holdings) will need to be revalued each year once you have turned age 70 ½ in order to determine your required minimum distribution. The types of bullion which are able to be held in an IRA will normally be determined by the purity of said bullion. Gold bullion bars must have a purity level of at least .995, silver at a level of .999, platinum and palladium at the .9995 level. Precious metals rounds meeting these purity standards also qualify to be held in your IRA. Once again, they must be handled by a custodian and be physically stored under the supervision of the custodian. In this case, the individual investor acts as the banker. Essentially, the IRA lends to the buyer of the home and the loan is secured by the property itself. The real key to being able to do this in your IRA is the fact that you don’t actually own the property or reap extra profits if the value of the property increases. You simply make the interest as the loan is repaid. The key to this type of investment, yet again, is finding a custodian that will accommodate you. It is even possible to invest directly in real estate using your IRA. However, you need to have all of the money and expenses (maintenance, taxes, etc.) come from the IRA; you may not use funds from any of your personal accounts. There can be no co-mingling of funds. Another very important feature of this type of IRA investment is that if you carry a mortgage on the property it needs to be non-recourse. This makes it very, very difficult to find lenders willing to consider taking such a risk. Also, you cannot buy the property for personal use and you will lose much of real estate’s tax normal benefits, such as loss deduction. This is possible, but there are very strict rules to consider. You will need to be a passive investor and cannot use the business to benefit yourself in any way prior to retirement. Technically, your close relatives are not allowed to make any transactions involving the IRA, either. Because of the strict regulations guiding LLC IRAs, the best long-term benefit of such a business is likely to be the capital gains as the business rises in value. This is a little known investment type that is guaranteed by individual state or city governments. When someone cannot (or does not) pay their property taxes, the government will place a lien on the property in question. As an investor in tax liens, you simply buy that lien, paying the government back. In return, they guarantee you a large return (usually 15% or more) that is secured by the property itself. Since these investments are so secure, you may even hold them in your IRA. Technically speaking, if the lien is not paid, you would have the right to foreclose. However, each state tends to have slightly different procedures. This is an investment in equity securities and debt in actual businesses that are not publicly traded on a stock exchange. There are a number of ways to find these deals, including private equity or venture capital firms, and even angel investors. The interest of your IRA’s ownership in such a business will usually be expressed as a percentage of the company or a number of shares of stock. There are a few rules for holding these in an IRA. You may not be a general partner in a LP (Limited Partnership) or LLP (Limited Liability Partnership) and you cannot invest in an S-Corp.
Another interesting option for your IRA portfolio involves making private loans. You (the IRA holder) assume the responsibility of selecting the borrower, principal amount, interest rate, length of term, payment frequency, amount of the loan and just about every other factor. Plus, you will negotiate whether the loan is to be secured. As you can see, there are an abundance of IRA investment options. 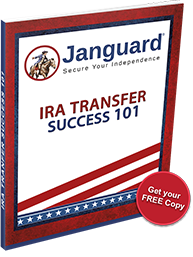 If you need help planning an IRA investment strategy, or if you already know which assets you want to invest in and simply need a hand choosing a custodian, or understanding the IRA transfer process, call a Janguard Senior IRA Adviser today at 800.571.6341 and secure your independence.